Last month, outdoor retailer REI announced that all of the company's 143 retail stores will close on Black Friday this year. Instead of making a push to increase sales on one of the biggest shopping days of the year, one of the biggest companies in the industry is encouraging folks to avoid being a part of the consumerist frenzy and spend time outdoors. For some, Black Friday shopping is a tradition. This year, some companies will join REI in hoping to start a new one. Using the hashtag #OptOutside, REI is encouraging people to share their plans for spending time outside instead of their plans to spend time shopping. REI is also paying nearly all of their 1,200 employees to take the day off (source). In a world where before Halloween, shoppers are encouraged to think about buying stuff the day after a holiday in November to prepare for a holiday in December, it's a welcomed change. REI's most likely customer may be the least likely to line up at 5:00am the day after a major holiday to buy something, but the campaign calls attention to some important issues - retail employees have to spend a day they might have otherwise been entitled to have off working, and consumers choose to spend money on things rather than memorable experiences, including experiences with family. Learn more about who will follow REI's lead this year, and how they propose you spend the day instead. This Washington-based company hosts fully-supported bicycle and multi-sport tours all over the world, including destinations in Washington, Oregon, California, Wyoming, New York, Thailand, and more. They believe in taking to the streets, trails, or anywhere bikes are meant to go whenever possible, and for Bicycle Adventures, the #OptOutside concept is nothing new. The company's employees always take Black Friday off. Since 1984, their mission has been to provide exceptional active vacations, and this year, they're giving anyone who spends Black Friday on their bike a chance to win some exceptional prizes. Whether you spend part of your Black Friday on a mountain bike, road bike, even in a spin class, Bicycle Adventures wants you on two wheels, not in stores. They're giving away a trip to Bryce and Zion National Parks, an Orbea urban bike, and swag via an Instagram photo contest. Share a photo, use the hashtag #BikeBlackFriday, tag @bikeadventures, and tell them how you plan to ride on Black Friday. Fill out the entry form, and you're good to go! Learn more. Baltimore-based Joe's Bike Shop was founded under the premise that "life is better with bikes," and the crew now operates two locations where customers can buy bikes, bike accessories, gear, or get their bikes repaired. Joe's also has a racing team and hosts a page on their website with a list of upcoming area races. Shop owner Joe's wife worked in retail for decades for companies like the Gap, Old Navy, and Macy's, and after she asked what kind of sales Joe had planned for Black Friday, he jokingly suggested they close. "I hate black Friday." Joe says. "I hate what it says about the state of retail and the commercialization of our holidays." Joe's Bike Shop already closes for Boxing Day, as they have for the past 15 years, but Joe's wife told him closing on Black Friday wasn't an option. When REI's #OptOutside announcement hit, Joe's son sent him a text about it, and at that point, the decision was made. Instead of extended hours for one of the biggest shopping days of the year, Joe's will close, and shop employees will likely join a handful of area REI employees for a bike ride. "It's a statement about what's really important to us," Joe says, "and deep down, I think other people feel that way too. Maybe this will cause them to think about what's really important to them." Shortly after REI announced they would close on Black Friday, one of my favorite outdoor apparel companies, Outdoor Research (OR), followed suit. According to the Outdoor Industry Association, OR company leadership believes REI's decision is a game changer, and given OR's "core purpose is to inspire more people to get outdoors," closing on Black Friday is a no-brainer. But OR has plans to take things a step further. They're launching an Instagram initiative to help raise money for Paradox Sports. 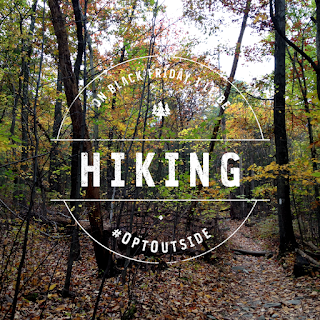 Beginning on Black Friday, take a picture of your outdoor adventures and share them on Instagram using both REI’s #OptOutside hashtag and #OutdoorResearch. For every 100 photos submitted, OR plans to donate $1,000 (up to $5,000) to the adaptive sports organization. Learn more. 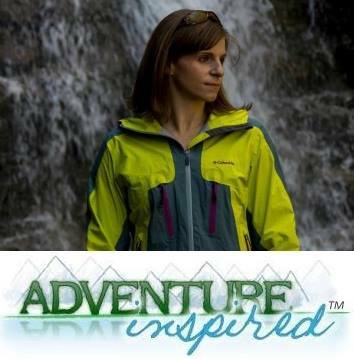 Other organizations, including the American Alpine Club, Deuter, Outdoor Nation, Clif Bar, Gregory Mountain Products, and People for Bikes, have also pledged to participate in activities related to REI's #OptOutside initiative, and you can bet the Adventure-Inspired team (of one) will too! What other organizations have you heard of that plan on closing their doors on Black Friday? 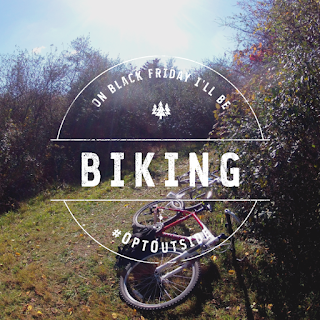 Will you participate in the #OptOutside program? We'd love to hear what you have planned!